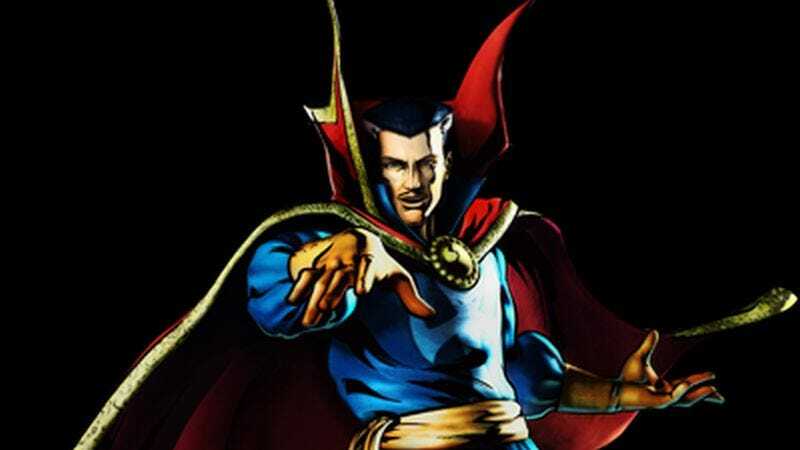 With Sinister director Scott Derrickson now attached to bring Marvel’s Doctor Strange to life, talk has once again turned to who could don the cape that the character probably won’t wear, because it’s the 21st century. And according to Deadline, casting has apparently gotten as far as reading Tumblr: Both Benedict Cumberbatch and Tom Hardy are reportedly at the top of the studio’s wish list to take on the role of the neurosurgeon turned cosmic magician—though honestly, Cumberbatch and Hardy are at top of a lot of wish lists these days, not all of them professional in nature. For whatever it’s worth, both have enjoyed great success in genre fare already, and they would probably enjoy even more by stepping into a superhero role (even if their particular charms seem better suited to supervillains). And of course, they are both British, fulfilling the preferred prerequisite for playing American comic-book characters. Yet Cumberbatch and Hardy also exceedingly busy, and their attachment to casting rumors is also seemingly a prerequisite for any major movie these days, and likely means very little. On that note, they’ve also been joined by Jared Leto, whose Oscar-winning turn in Dallas Buyers Club has also reportedly put him in the running—at least, according to Badass Digest, which does not share that news enthusiastically. Anyway, who will actually land the role likely won’t be determined until closer to Comic-Con, but at least with reports like these, we now have some idea of the qualities Marvel is looking for in its Doctor Strange, i.e. human white males with slender to bulky frames, preferably already with a devoted and occasionally unsettling Internet fanbase to ease their transition.